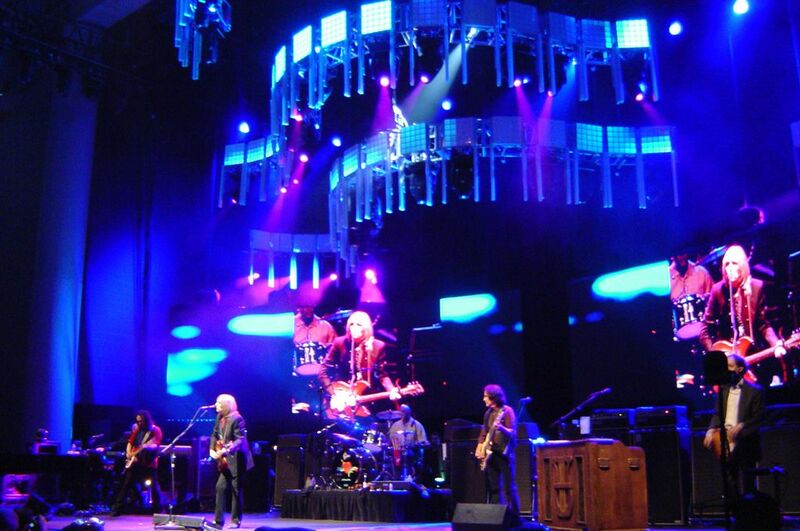 Tom Petty and the Heartbreakers are an American rock band from Gainesville, Florida. Formed in 1976, the band originally comprised Tom Petty (lead singer, guitar), Mike Campbell (lead guitarist), Ron Blair (bass guitar), Stan Lynch (drums), and Benmont Tench (keyboards). The band largely maintained this lineup, with a few exceptions. In 1981, Blair, tired of the touring lifestyle, left the band. His replacement, Howie Epstein, stayed with the band for the next two decades. In 1991, Scott Thurston joined the band as a multi-instrumentalist—mostly on rhythm guitar and second keyboards. Blair returned to the Heartbreakers in 2002, the year before Epstein’s death. In 1994, Steve Ferrone replaced Lynch on drums. The band is best known for the hit singles "American Girl", "Breakdown", "The Waiting", "Learning to Fly", "Refugee" and "Mary Jane’s Last Dance". The band was part of Southern rock but also at the forefront of the heartland rock movement, alongside artists such as Bruce Springsteen, Bob Seger, and John Mellencamp who arose in the late 1970s and 1980s. The genre eschews the synthesizer-based music and fashion elements popular in synthpop and New Romanticism in favor of a straightforward classic rock sound, and lyrics based on relatable, blue collar issues. While the heartland rock movement faded out in the 1990s, the band remained active and popular, touring regularly until Petty’s death in 2017. Their most recent album, Hypnotic Eye, was released in 2014.